A signed or unsigned variable name or constant is an expression. An expression connected by an arithmetic operator to an unsigned variable name or an unsigned constant is an expression. An expression enclosed in parenthesis is an expression. Two expressions connected by an arithmetic operator is an expression. Two arithmetic operators should not occur in succession in an expression. Values need to be assigned to variables. The ‘=’ operator is used for assignment. C++ also permits the initialization of more than one variable in one statement using multiple assignment operation. Similarly, compound assignment operators can be used. The modulus operator is represented by the % (percent symbol). This returns the remainder of the division, hence 11 mod 2 is represented in ‘C++’ as, and 11 % 2 and the result is 1, the remainder of the division. When a numeric value or a constant is to be used in the program, then, it can be given a symbolic definition or preprocessor directives which means, before compilation every occurrence of the symbolic-name in the program is substituted by the value-of-constant as given in the syntax. Having known the basic two types int and float, the next logical question is whether mixing of these two types is allowed. That is, an arithmetic expression containing an operand of type int and another of type float, this is allowed. The integer value is automatically converted to type float for the calculation. Such automatic conversions are known as implicit conversion. 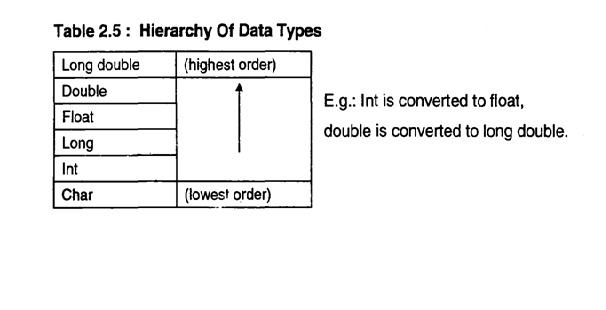 When two operands of different types are encountered in the same expression, the lower type variable is converted to the type of the higher type variable. These conversions take place invisible to the user. Apart from + and -, ‘C++’ provides two very useful operators. They are ++ and -- defined as increment and decrement respectively. The ++ adds 1 to the operand and -- operators decrements 1 from the operand. 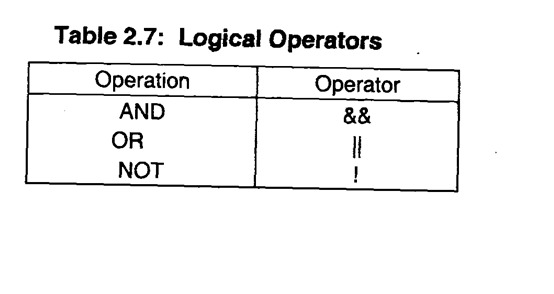 Both are unary operators. A prefix operator first adds 1 to the operand and then the result is assigned to the variable on left. This is a compressed version of the if - else statement. The entire expression is evaluated from left to right. Expression 1 is evaluated first, if it is non zero (true) then Expression 2 is evaluated and becomes the value of the expression. If Expression 1 is false (not true) Expression 3 is evaluated and its value becomes the value of the expression. So only one of the Expressions either Expression 2 or Expression 3 is evaluated and not the both during a given evaluation. a and b are operands. 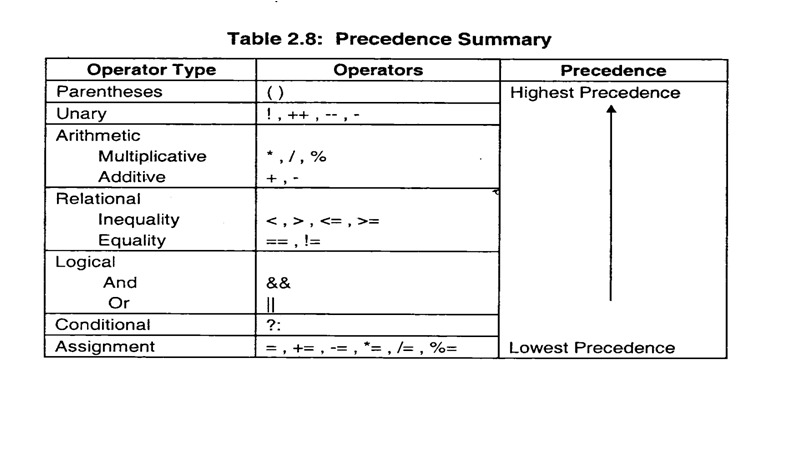 In an expression, operators with higher precedence are evaluated before those of lower precedence. 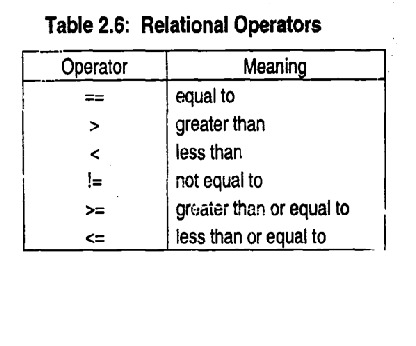 Operators on the same row have equal precedence and are evaluated left to right. The expression is evaluated from left to right according to the rules of precedence. according to the rules of precedence.